For readers of The Tattooist of Auschwitz and The Choice: this is the story of the smallest library in the world – and the most dangerous. Fourteen-year-old Dita is one of the many imprisoned by the Nazis at Auschwitz. Taken, along with her mother and father, from the Terezín ghetto in Prague, Dita is adjusting to the constant terror that is life in the camp. When Jewish leader Freddy Hirsch asks Dita to take charge of the eight precious books the prisoners have managed to smuggle past the guards, she agrees. 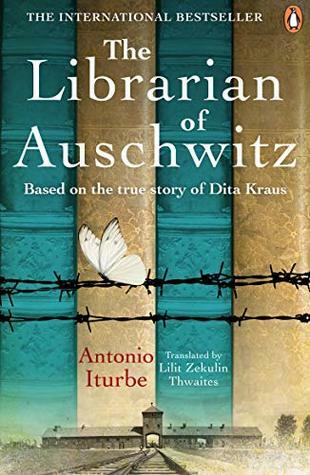 And so Dita becomes the secret librarian of Auschwitz, responsible for the safekeeping of the small collection of titles, as well as the ‘living books’ – prisoners of Auschwitz who know certain books so well, they too can be ‘borrowed’ to educate the children in the camp. At the centre of the horrors of Auschwitz was a very unique prison Block. Block 31 was the place where the children of imprisoned Jewish communities within the camp went each day while their parents worked. It was all a front for when the camp had inspections so they were seen to be looking after and educating the children, sports and singing, no books though. When fourteen year old Dita arrived at the camp with her mother and father she was soon chosen my by one of the Jewish leaders called Freddy Hirsch to take on a huge responsibility. Dita was asked if she would be the camp librarian to be in charge of the 8 books in total that had been smuggled in by camp prisoners. If the books were found on her it would be punishable by death. Dita knew the huge responsibility that this was, being caught wasn’t just the end of her life, it would have been the end of education for the children in the camp. This is a story of tremendous courage of Dita and the small community of teachers that put their lives at risk every day. I was totally astonished by the children too when spot inspections were done, so young and yet they were drilled so much that none of them ever gave away the secret of the books as they knew they were so priceless. For all that was going on round the prisoners children were still their future to carry on and being educated to a level that they would have a place still in the outside world. The story is mainly of Dita’s life in Auschwitz, the tragedies that she faced, her heart ache when she felt let down and the daily horrors she saw, from removing the dead to the terror she felt when she caught the eye of Josef Mengele, who seemed to watch her at times. There are a few side stories too about different people in the camp, some of the experiments carried out on twins, but not in great detail and one of a young German Officer, which I am so glad was included. If you could say that such terrible appalling atrocities could be written beautifully then this would be the book to say it about. I was totally transfixed with every page knowing that not everyone would walk away from this. The story doesn’t end when the British army arrives it continues on briefly about the people who were responsible for the camp. I loved that the author corresponded with Dita and actually went to meet her, now in her eighties and still as full of life as she ever was. Life’s real heroes. 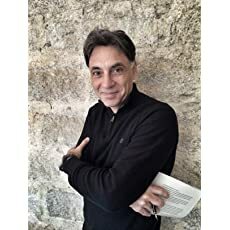 Antonio Iturbe lives in Spain, where he is both a novelist and a journalist. In researching The Librarian of Auschwitz, he interviewed Dita Kraus, the real-life librarian of Auschwitz. Wow, what a story! Lovely review.